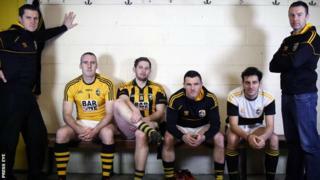 The remarkable story of Crossmaglen Rangers GAA club is being told for the first time in a BBC Northern Ireland documentary. In 'Crossmaglen: Field of Dreams' BBC NI journalist Thomas Niblock charts the troubled history of a club at the heart of the south Armagh community and how it became the most successful GAA team in Ulster during a golden two decades of success. Part of the True North series, featuring exclusive interviews from the main protagonists in the Crossmaglen story and including unrivalled access to the senior football squad, the documentary will be screened on BBC One Northern Ireland on Monday 21 March at GMT 21:00.